We take pride in offering our patient the highest quality care for auto injuries, work injuries, sports injuries and wellness care. We also offer spinal decompression therapy for neck and low back disc injuries as an alternative to surgery. Please take a few minutes to tour our web site or if you would like to make an appointment, call 510-799-3760. Chiropractic is based on the scientific fact that your nervous system controls the function of every cell, tissue, and organ in your body. The nervous system consists of the brain, spinal cord, and peripheral nerves. The spinal cord and nerve roots are protected and covered by 24 movable vertebrae. Muscle tension, pinched nerve pain, and compromised circulation can be created by improper joint motion. Correct vertebrae alignment is essential for proper motion and function. Initial intake of each patient may consist of a verbal description of the patient's areas of pain, a visual study of the patient‚'s posture, and, defining X-rays of the patient's spine to see the visual clues of evidence for the problematic area. The goal of Chiropractic is to recognize the areas out of alignment, and begin to coach‚ the body back to its natural, harmonious health, making adjustments to free motion and blood flow, and remove painful pressure on nerves. Our greater goal at Sycamore Chiropractic is to see our patients move with ease again, and to see sometimes long held grimaces of pain, turn to easy smiles of well-being! Whether a car accident, a fall, or chronic back pain may lead you to our door, you will be seen and treated as the unique individual you are, and for the unique goals of wellness you hold. In fact, you, like many professional athletes, may wish to employ chiropractic therapy as a health pathway toward your greatest flexibility and ease of motion. What ever your reason for coming to Sycamore Chiropractic, we will provide complete dedication to your well-being. Most often, our patients have come to us because mainstream methods of medicine have not succeeded for a patient's chronic pain, and/or, the painful effects of a fall or auto accident. Chiropractors, also described as Doctors of Chiropractic (D.C.), and/or Chiropractic Physicians, can sometimes combine aspects of mainstream and alternative medicine practices. For its practitioners, Chiropractic is an art and a science, and is based on a clear philosophy. That philosophy holds the tenet that the body is a self healing organism, and that much of what we experience as maladies originate in constricted or otherwise damaged conduits the nervous system. Particular attention is paid to the spine, as its correct alignment allows the body organisms inclination to health and wellness to succeed. Chiro or cheiro, comes from the Greek word meaning, hand. Chiron, the noble centaur of Greek Mythology, was a teacher to many of the Heroes and sons of the gods, taught the use of hands in art, music, healing, and archery. Daniel David Palmer, who had come to perceive that manual manipulation of the spine could cure disease, founded Chiropractic as a philosophy and practice in the 1890's. Initially keeping his methods a family secret, he began the Palmer School of Chiropractic in 1898. One of his students was his son, Bartlett Joshua (B.J. Palmer), who became the head of the Palmer school in 1906. With a passionate commitment, rapid expansion soon followed in enrollments. Over 100 years of successes where other approaches have failed, have brought Chiropractic to its high level of credible acceptance today. As a unique approach to health, with broad acceptance, Chiropractic treatment may be covered in your insured health plan. It is with careful, skillful use of hands that a Chiropractor employs the practice of our healing art. Manual therapies will generally involve SM (spinal manipulation), and therapies to the joints and soft tissue. Complementary procedures, rehabilitative exercises, electrical modalities and health counseling may be added to a patient's treatment. aide of a wheelchair, crutches or a cane. I would like to thank the doctor for the work he did to return me to my usual self again. Without his help I feel that I would have been confined to a wheelchair for many months." "I use to get massages every month, but I spoke with my friend who recommends me to go to a chiropractor instead. Body alignment actually helps more than massage therapy and its inexpensive. After seeing the reviews, this was the most highly rated place around Hercules. As soon as I stepped, I talked with Dr. Dizon about certain pain areas and he actually sat down with me for w quick run through of what he recommends. Ever since my first visit, I have been hooked and going there every week. I have stomach problems before and after he made some adjustments, I actually feel better. Plus I feel the price is very reasonable. 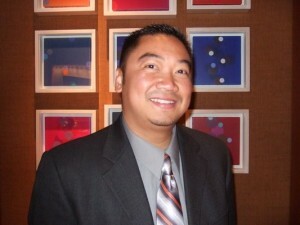 Dr. Dizon is great at what he does and I am grateful I found a great chiropractor. Dr. Dizon knows his stuff! I'm glad I found him!" "I've always had back pain from work and from sleeping on my stomach at night. My muscles are always tight and even the best massages couldn't take away the long term pain. I've been to two different chiropractors and walked out disappointed because of their "unwelcoming" attitude. Dr. Dizon makes me feel like he really cares and is concerned about the pain I'm in. I just came from an appointment and he seriously cured sharp headaches I've had for the past two days. I always leave my appointment feeling like I have a brand new back! It's super easy trying to make an appointment and he's very flexible with my schedule. His rates are very reasonable and so worth it. If you have bad back pain give him a try, you won't regret it!" "I was involved in my first car accident in the beginning of November 2013. My back was hurting so bad, I couldn't even get out of bed. Luckily, I found Sycamore Chiropractic on yelp. Dr. Dizon is pretty awesome! He really cares about all his patients and will give you great advice about what to do and what not to do when you're at home to keep the pain away or at a minimum. I no longer have any back pain, it's like the accident never happened!" "I discovered Dr. Dizon via Yelp. I was in a car accident in February 2011 - yep, should've post this a LONG time ago. Didn't think too much of it till I started getting neck pain and eventually tingling in my arms...I decided to seek chiropractic care but needed to find a new doctor (long story). Any way, Yelp reviews led me to Sycamore Chiropractic. Dr. Dizon, after a quick but thorough consultation, asked me if I was looking a certain way when the crash happened, asked if I had these other symptoms etc. He told me what was wrong, what was out of alignment etc. - there were things that I didn't realize were caused by the crash that I had attributed to other things. About 4-6 visits later, I was better than new! Dr. Dizon is friendly, caring and professional. He wants you to truly get better(!) - its not just an endless string of visits. The update - I recently started seeing Dr. Dizon again. A few months ago, I started volunteering, two days a week, as a SCUBA diver at a local aquarium. I wear an approximately 30 lb. weight belt, plus all the equipment I wear or use, kinda takes a toll on the body. So, various symptoms cropped up and I was calling Sycamore Chiropractic again. Dr. Dizon to the rescue. I happened to catch him on a day he was not normally there - thank you potentially new patient who decided to flake. He fit me into his schedule, thank goodness!, and even stayed late to wait when I got stuck in traffic."